Mark Your Calendars!! Friday, October 22nd is Fall Photo Day! Please send your kids to school on time. Order Forms will be sent home the week prior to picture day. 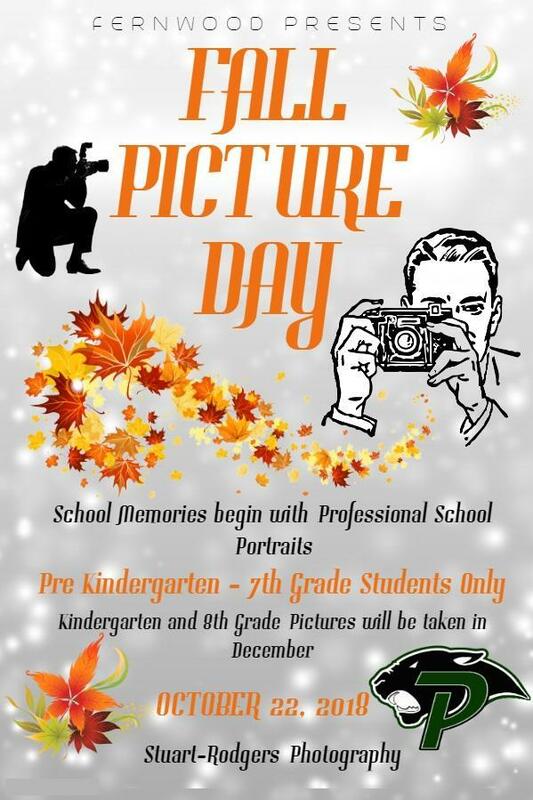 If you are ordering pictures, complete and return the form with your child on picture day!